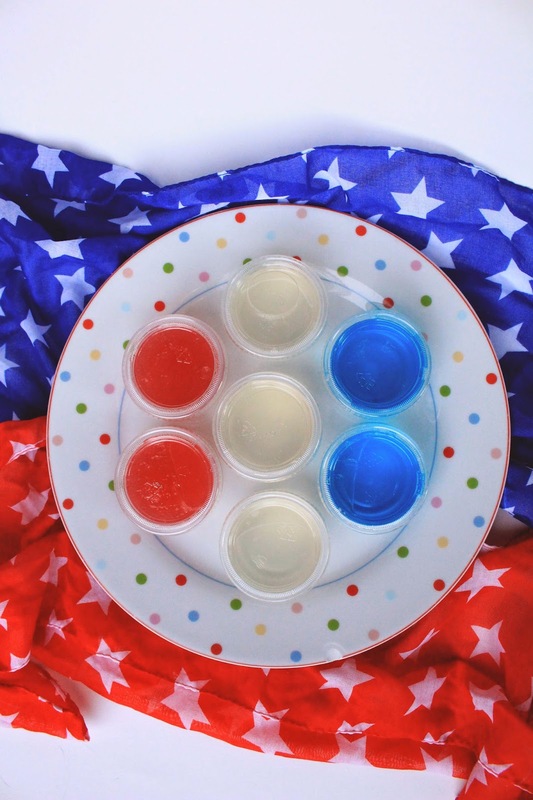 We are having a Fourth of July party tomorrow and we wanted to make something very festive. We usually bring a cocktail for get-togethers so we wanted to change it up a little bit. 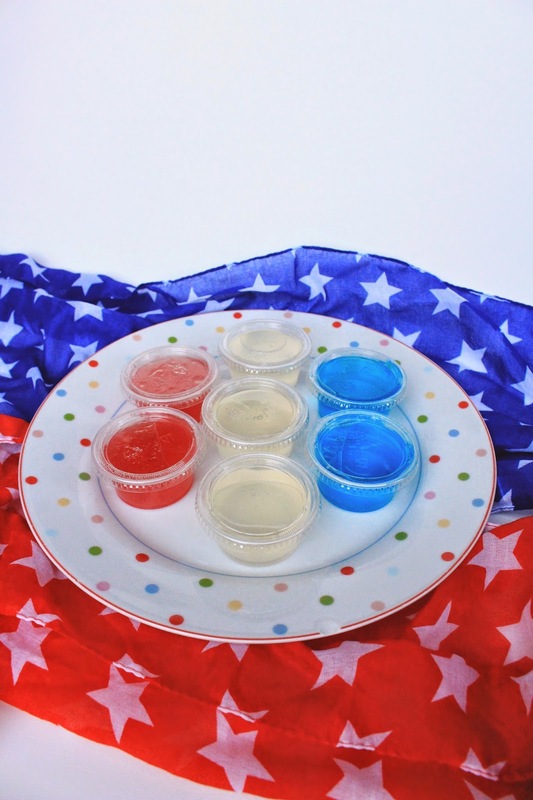 We decided to go with jello shots, but we wanted it to be a little more fresh than just packaged Jell-O. 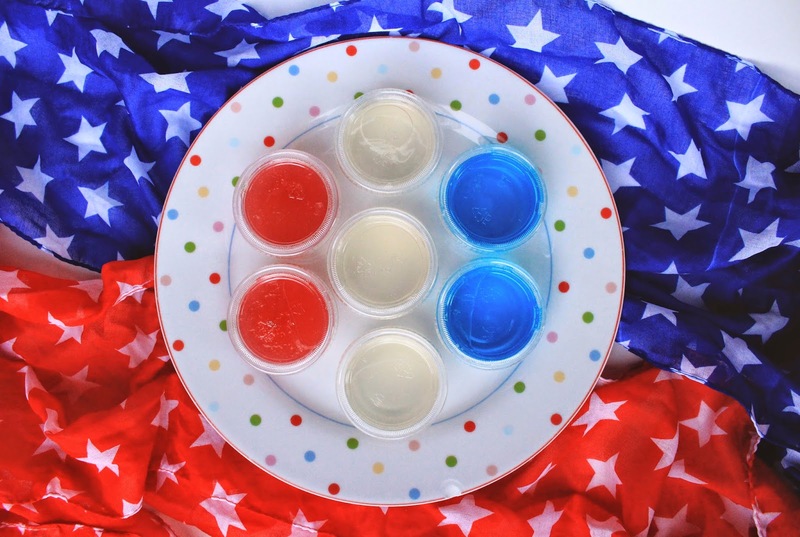 I admit, we did just get a box of berry Jell-O for the blue shots, but the red ones are watermelon based and the clear ones are made with coconut water. The watermelon idea came from here and we substituted coconut water for another version. We used coconut rum for all of them, but you could just use water if you want these to be kid-friendly! 1. Heat sugar and water over medium-high heat to dissolve sugar. 2. Whisk hot water mix into gelatin. 3. Add watermelon juice (or coconut water) and rum and whisk together. 4. Pour mixture into tiny cups and put in refrigerator to set for four hours. For the Watermelon juice we just blended fresh watermelon and strained the pulp out. These are all pretty delicious, so drink 'em slow!